Looking for a new home, many buyers today begin their search with a serious decision: whether to buy a distressed and used home, or whether to opt for a home that is brand-new. While the common wisdom among many may be that buying a used home is “cheaper,” the reality is that new homes are often not only competitive in price with used homes, they also offer sounder value and better quality for the money! How, you may ask, can a homebuilder compete with the clearance prices seen on many used and distressed homes? The answer is simple: ingenuity, flexibility and a commitment to the dream of homeownership. 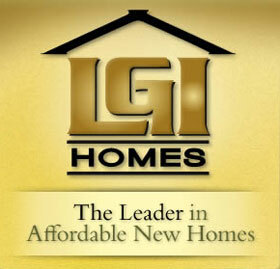 LGI Homes is The Leader in Affordable New Homes. To begin with, LGI Homes has made a career out of building beautiful and affordable new homes in amenity-rich communities throughout Texas and Arizona. Through our unique and efficient development process we purchase, plan, prepare and develop our own land, cutting out a number of middle men and substantially reducing the costs of building our communities—savings which we then pass on to our customers. This means that our homes can be competitively-priced from the outset, and our commitment to quality materials and sound construction practices never have to be compromised just to keep our prices low. We also increase the affordability of our homes through our No Money Down financing plans, which allow our buyers to move into their own brand-new home for absolutely no money out of pocket. Unlike with existing or distressed homes, our buyers don’t have to sacrifice the security of their savings in order to wrangle up a hefty twenty-percent downpayment. Instead, they can increase their financial stability through their reduced costs of living, with a mortgage payment often lower than their previous monthly rent. No money down and lower monthly payments make the purchase of an LGI Homes home not just ultra-easy but ultra-affordable too. And this affordability is something that LGI Homes is committed to extending to every buyer, even those with prior credit troubles. These buyers may think that these financial issues preclude them from ever owning their own home, but LGI Homes knows differently. Our Credit Counseling program links appropriate buyers with an LGI Homes New Home Consultant, providing a free credit report and counseling them on a range of generous financing options that pave the way toward homeownership. Try getting that kind of customer service and counseling support when buying a used or distressed home! As you can see, there are a number of ways in which LGI Homes has perfected the process of increasing home affordability while encouraging the dream of homeownership. These efforts can’t be approximated by the number of faceless financial institutions selling distressed properties and investors flipping trouble-ridden foreclosures back into the market. Are the prices on used homes low? No one can dispute that fact. But when it comes to customer service, true quality, and the desire to make dreams come true, LGI Homes’ case seems to settle the matter squarely on the side of brand-new homes. Often the hardest part of buying a home is finding the right home, in the right place, at the right price. With so many ways to search out information about which homes are on the market and what new homes communities are opening and selling near you, many homebuyers can easily become overwhelmed by information overload. Instead of getting confused, why not choose a method of finding a new home that suits your time, personality and needs? Finding the right home, in the right place, at the right price may be easier than you think. 1. Real Estate Agents. For those who prefer to work with people, real estate agents are a perfect choice. These agents know their territory, and are well-versed in the different neighborhoods, areas and new home communities that they serve. Working with a real estate agent can allow you to specify the details of the sort of home and neighborhood you are looking for, then sit back as the agent creates a list of homes to visit that meet your criteria. No stress, and no confusion! 2. MLS Services. Akin to working with a real estate agent, those comfortable with the internet will likely gravitate toward online MLS listing services such as Trulia or Redfin, which allow homebuyers to search out new home communities in their target area. You can filter home listings by price, square footage and even lot size, then winnow your results to show only “new homes” or “new construction.” Check the “search options” panels on these sites for the various ways in which you can refine your home search, and keep the results tailored to your needs and tastes. These sites are optimal for homebuyers who want to be sure that they have explored all of their available options before committing to a purchase. 3. Online New Home Directories. 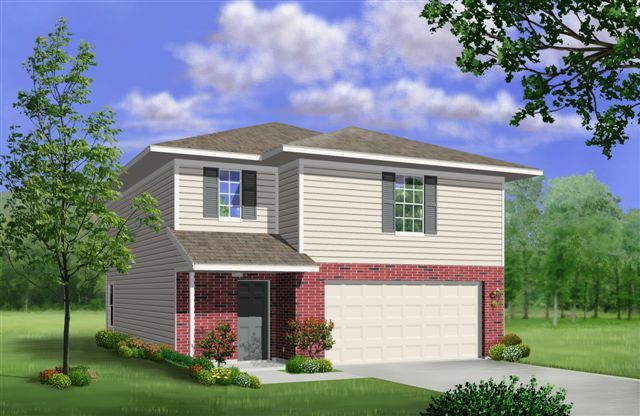 There are also a number of websites devoted entirely to new home communities and new home construction, such as NewHomesSection.com and NewHomeSource.com. These directories offer searchable directories of homes at the local and national levels, and include biographies of homebuilders building in your area—perfect for the homebuyer who likes to be fully informed. 4. The Newspaper. For those who like to get their news and information the “old fashioned” way, most newspapers carry a weekly home section or homes insert. These homes sections are great sources of information about new and planned communities, community amenities, and how many homes are left in certain new developments. Turn to these sections for additional information about pricing and the addresses of sales offices and model homes. 5. Drive Around. Finally, there’s the most traditional way of finding out about new homes communities in your area: take a leisurely drive! While more time consuming than many of the other methods, there’s nothing like seeing a new home community (and its surrounding areas) first-hand. Finding the communities is easy; many new homes builders erect signage throughout adjacent areas and along major traffic arteries that provide directions and location information for their communities. You may never have known that a new community was opening up just down the road, but once there, you’ll have an excellent opportunity to discover a brand new home that’s perfect for you. Almost everyone has heard the term escrow being used in regard to real estate, particularly in phrases like “escrow account” and “in escrow.” But is escrow a person? A process? A legal state? Today, we’ll clear up what escrow actually is, and explore the role it plays in the purchase of a new home. 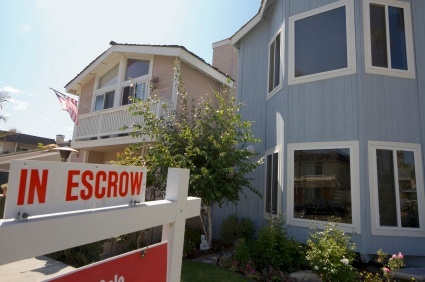 Escrow is a financial transaction between a buyer, seller, and neutral third party. Escrow is actually a broad term related to financial transactions between multiple parties, typically involving a buyer, a seller, and a neutral third party not directly involved in the sale. In an escrow arrangement, the escrow party will hold money, documents or deeds related to the sale for the term in which the obligations outlined in the contract between buyer and seller are completed. Once the deal or sale is finalized (in the case of a home, at the closing) the funds in escrow are disbursed to their rightful owners. Escrow is a convenient way to allow both buyer and seller to remain confident in the business transaction at hand, without either having to collect or forfeit money before the successful conclusion of business. For instance, some buyers are required to put up “earnest money” or a “good faith deposit” when bidding on a property, in order to show that they are “earnest” about wanting to buy. However, some buyers may think twice about forfeiting such money to a stranger, particularly if any unexpected complications should arise (such as a dire problems revealed by an inspection of a used home) that threaten the sale of the home. Placing this earnest money with a third party allows the seller to see that the buyer is capable of funding the purchase and is in earnest about their bid, while also allaying any fears the buyer may have about losing money to an unscrupulous seller. My mortgage lender mentioned something about escrow to pay taxes and insurance. What does this mean? Some lenders keep an escrow account in which funds are collected to pay the taxes and insurance on a mortgaged home. Because failure to pay taxes and insurance coverage severely affect the value of a home as collateral against a mortgage, lenders tend to ensure these important bills are paid by paying them for the borrower. The total taxes and insurance payments for the year are calculated, then divided by twelve to yield a dollar amount that is added to the monthly principle and interest payment. This extra money is funneled into an escrow account from which the taxes and insurance on the home is paid. Some lenders require an escrow account for only a few years, while others require escrow accounts for the life of the loan. As you can see, this particular usage of escrow differs from the usage of escrow accounts outlined above. So how does escrow come into play at the closing? In some parts of the country, a pending home sale is referred to as being “in escrow.” This simply means that a binding contract between the buyer and the seller has been initiated, and the sale will proceed as planned once the contingencies of the contract have been satisfied. Fees such as earnest money, deposits, and even seller rebates have thus been deposited into an escrow account until the home sale is finalized. At the closing, checks from this account are presented to the various parties, and, as the funds are fully disbursed, the escrow is then considered closed. As one of the nation’s most successful builders of quality, affordable housing, LGI Homes has helped thousands of people become homeowners for the first time. And through this experience, we’ve realized that the process of buying a home can be confusing—fraught with cryptic terminology, filled with reams of paperwork, and complicated by the many parties involved in completing a successful property sale. To that end, our “All About” series answers many frequently asked questions, giving homebuyers the knowledge they need to be confident and informed consumers. Today, we are talking about PMI—Private Mortgage Insurance. Private Mortgage Insurance is an extra form of insurance required by lenders. PMI—or private mortgage insurance—is an extra form of insurance required by lenders, the premiums for which are paid for by the buyer. 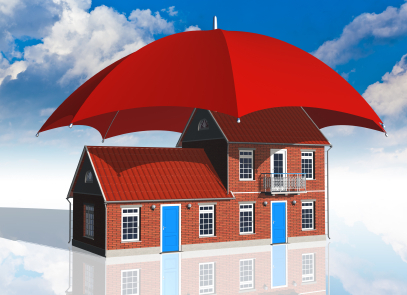 Who is required to carry private mortgage insurance? Any borrower who carries less than 20 percent equity in the home at the time of the extension of credit by the lender is typically required to have PMI. For first-time buyers, this typically means borrowers who are not putting a 20 percent downpayment towards the purchase of the home, and are thus borrowing more than 80 percent of the home’s assessed value. What does PMI actually cover? Although paid for by the buyer, PMI is actually insurance coverage for the lender. The PMI covers the lender against loss should a borrower default on a loan, thereby making it feasible for lenders to extend housing credit to parties who might not otherwise qualify for a loan if these risk provisions were not available. What is the average cost of PMI coverage per month? PMI coverage typically costs from 0.5-1% of a home’s sales price. Therefore, for a home selling at $100,000, a borrower would see an additional charge of $40 to $80 added to their monthly mortgage payment. If I am required to carry PMI, how long will that coverage be in effect? Most agreements specify that a borrower is able to cancel their PMI coverage once they have vested a 20 percent stake in the home—in other words, once they have successfully paid off 20 percent of their home’s value toward their loan. The method in which PMI can be canceled varies from lender to lender, so you would have to check with your financer, but most require the submission of a cancellation request from the homebuyer to instigate the process.